DAKUMAR is devoted in manufacturing and supplying plastic turnkey molding lines, such as industrial dustbin molding line supply In China, with plastic injection industry increasingly developed, there are thousands of plastic molds or machine companies, it maybe easy for you to find a supplier for small project, but for big project, like dustbin molding line solution, it is better to find a stable and professional supplier for comprehensive support service. 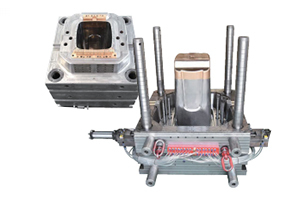 We have our own brand Sino Mould and Dakumar, manufacture separate for plastic injection molds and injection molding machines. Whole Sino team knows not only on plastic molds or plastic machines, but also a fine turnkey solution offering. 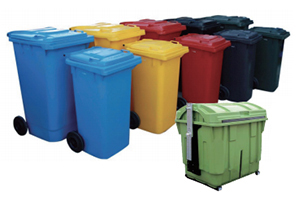 *customized made industrial dustbin molds, we have made from 40L, 50L, 80L, 90L, 120L, 240L, 360L, 770L & 1000L garbage bin moulds, can offer you superior dustbin molds with human and optimal design. *suitable tonnage industrial dustbin injection molding machines selection, usually we suggest with our servo motor injection machines, which is 20-80% power energy saving when compared to standard injection machines. *dustbin molds maintenance, spare parts and some electronical elements in stock service for future easy mold maintenance at your side. *all technical drawings, support and aftersales service, usually for industrial dustbin moulding line productions, it will have big molds and big tonnage injection molding machines, especially for new investor in this field, we can send our engineers at spot in your factory, to make staff training, dustbin molding line trouble shooting solutions supply,etc. We delivered and exported lots of industrial dustbin molds and dustbin molding machines to our customer, such as in Brazil, Israel, Mexico, South Africa, and Austria…if you are looking for industrial dustbin molding line supplier in china, or want to purchase good dustbin molding production lines, pls do not hesitate to consult us. welcome your down visiting to Sino Holdings.